I have been teaching mindfulness classes since 2011, at a variety of locations in the central East Bay, including Castro Valley Adult School, Las Positas College, and several private companies. These classes are of my own design, drawing from a variety of sources, including the Mindfulness-Based Stress Reduction (MBSR) program developed by Jon Kabat-Zinn over 30 years ago; the Mindfulness-Based Cognitive Therapy (MBCT) program developed by Zindel Segal et. al. (whose teacher-training program I've taken); Cognitive Behavioral Therapy (CBT), which I've been using in my private practice for many years; and classes I've taught on stress management. My classes are for adults (ages 20 to 80+) and require no prior experience with meditation or yoga. All activities are optional and can be modified for physical limitations. Class size varies depending on location. In this introductory workshop, participants will find out what mindfulness is – and is not – and learn how it can be used to improve focus, increase happiness, relieve anxiety, treat stress and stress-related illness, and prevent relapses in addiction and depression. Sample some simple meditation practices and get information on resources for further practice. Typically offered as a 3-hour class. Contact Las Positas College Community Education to register for one or more sessions. Introduces a simple yet powerful approach to dealing with stressful situations, negative thoughts, and difficult emotions. Participants will learn breathing techniques, exercises to transform how we think about and react to stress, and a variety of simple and brief meditative practices that can be readily incorporated into daily life. Participants are also encouraged to do daily home practice. Offered Winter 2019 in San Leandro. Contact Rebecca directly for more info or to register: 510-881-2540 or use contact form on this website. Class meets monthly, dates and location below. 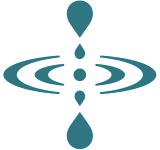 Each class includes a 20-30 minute guided meditation practice (with basic instruction given for anyone new to meditation), a short presentation on a topic related to mindfulness, and group discussion about applying mindfulness to daily life. Open to any adult with an interest in mindfulness meditation. Dates & Time: 6:30 to 7:45 pm, 1/8, 2/12, 3/12 and 4/9, 2019. Fee: $15. Cash or check only at this time.